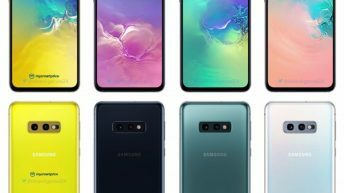 Samsung has been on the front page of every blog since the word got out about the upcoming launch of the Samsung Galaxy S10 and S10 Plus. 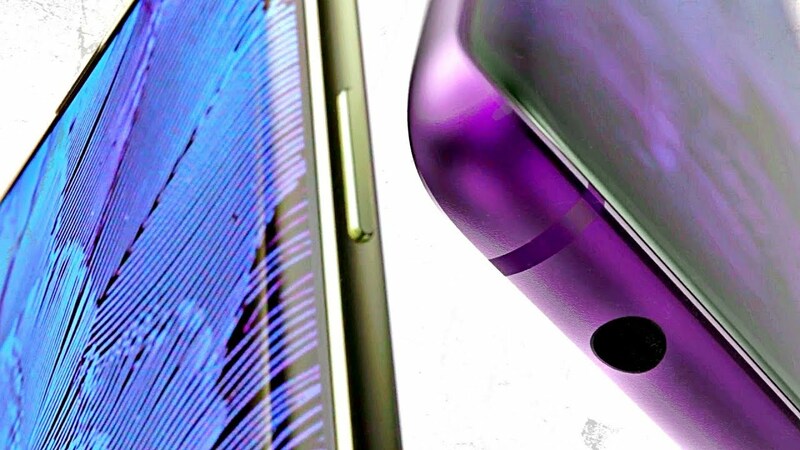 Recently, there were leaks of an alleged Galaxy S10e, although, no images of the same were available at that time to support the news. 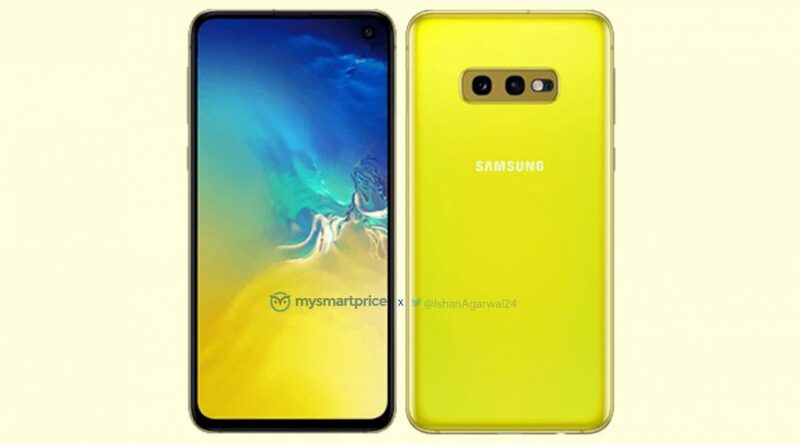 However, a very popular tipster on Twitter was able to come across some renders of the same, Ishan Agarwal on Twitter shared some images of the Galaxy S10e which was picked up by mysmartprice who then made the images public. 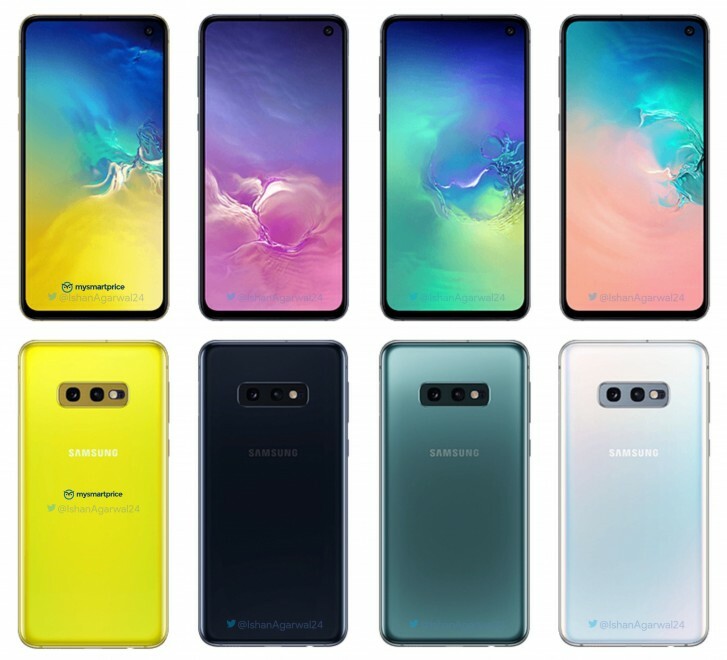 The Galaxy S10 series is scheduled to launch this month and these renders just make it saucier. The Galaxy S10e according to the images flaunts a 5.8inch display which makes it the smallest of the S10 series with the Galaxy S10 sporting a larger 6.1inch display and the S10 Plus is said to feature the largest display with a 6.4inch AMOLED display. The tipster managed to showcase 4 variants of the Galaxy S10e which also consisted of the Canary Yellow edition, this variant comes with a glossy back panel and has a dual camera set up at the rear which is aligned horizontally with the company log just adjusted below it and well, of course, no sign of the fingerprint sensor. No, not another in-display fingerprint sensor, this time around Samsung has tried something new. Remember the Nextbit Robin? yea that one, the Robin had a fingerprint sensor exactly on its power button which made it easier to access. The power button is to the right of the phone whilst the dedicated Bixby button is to the left of the device. Other variants of the device are available such as the Blue, Ceramic and etc. The Blue one as per Ishan will be available a bit later than the others. The Samsung Galaxy S10 Series is scheduled for a launch on February 20 in San Francisco, Stay tuned to GadgetGig for more such updates.